Psychological insulin resistance can lead to serious health consequences, which, in turn, affect patients’ quality of life. Previous interventions have been focused on providing health education, with several meta-analyses indicating that providing relevant medical information on diabetes self-care and biological outcomes can be effective, with small to moderate effect sizes. However, research indicates that, in addition to being informed about diabetes and its treatment, there are also cognitive factors, such as dysfunctional beliefs about insulin, affecting patients’ willingness to accept the treatment. Therefore, this study aims to investigate the efficacy of a one-session cognitive intervention targeting psychological insulin resistance by restructuring patients’ dysfunctional beliefs about the treatment. Sixty patients were randomized to either an Intervention group, or a Control group. The Intervention had a success rate of 40% (12 out of 30 patients), compared to the Control group which was16.6% (5 out of 30). The cognitive restructuring techniques combined with medical education, seem promising in reducing psychological insulin resistance. The study has a clinical and societal impact, indicating that a one-session cognitive restructuring intervention could help about 40% of people with psychological insulin resistance to start their treatment and avoid the medical complications associated with insulin refusal. Digiusseppe, R., Leaf, R., Exner, T., & Robin, M. (1988). The development of a measure of irrational/rational thinking. Presented at the In World Congress of Behavior Therapy, Edinburg, Scotland. Fulop, I. (2007). A confirmatory factor analysis of the Attitudes and Beliefs Scale II. Journal of Evidence-Based Psychotherapies, 7(2), 159–170. Gherman, A. (2016). Measuring Psychological Insulin Resistance from the Rational Emotive and Behavioral Therapy Perspective: Development of the Beliefs about Insulin Scale. 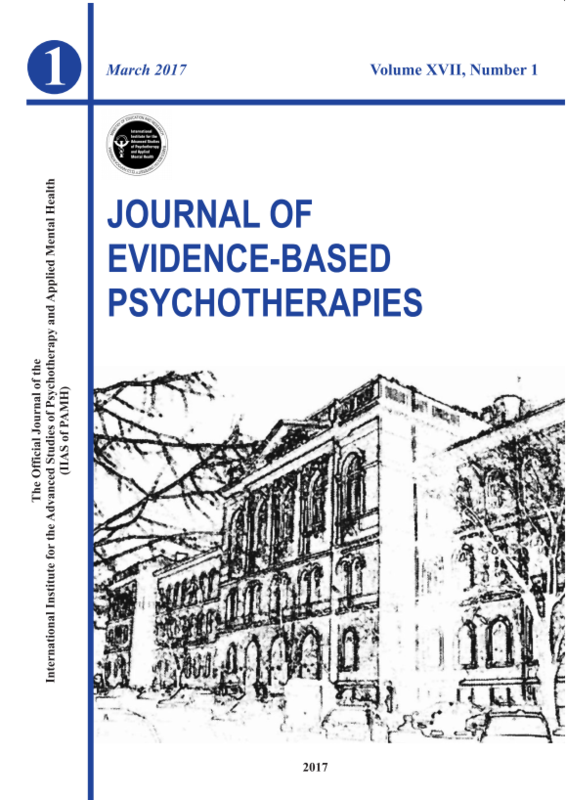 Journal of Evidence-Based Psychotherapies, 16(2), 177–190. Gherman, A., & Alionescu, A. (2015). Depression and Dysfunctional Beliefs, Predictors of Negative Appraisal of Insulin Treatment. Journal of Evidence-Based Psychotherapies, 15(2), 207–218. Nam, S., Nam, S., & Song, Y. (2014). Role of Self-Efficacy in the Relationship Between Patient-Provider Relationships and Psychological Insulin Resistance Among Patients with Type 2 Diabetes. Journal of Contemporary Diabetes Research, 1(1), 1–15. Polonsky, W. H., Fisher, L., Guzman, S., Villa-Caballero, L., & Edelman, S. V. (2005). Psychological insulin resistance in patients with type 2 diabetes: the scope of the problem. Diabetes Care, 28(10), 2543–2545. UKPDS 33. (1998). Intensive blood-glucose control with sulphonylureas or insulin compared with conventional treatment and risk of complications in patients with type 2 diabetes (UKPDS 33). UK Prospective Diabetes Study (UKPDS) Group. Lancet (London, England), 352(9131), 837–853.